The Night Tiger is a complex, ambitious novel set against the intriguing backdrop of 1930s Malaya. In it, Yangsze Choo (The Ghost Bride) weaves together ancient Malayan superstitions and traditions to tell a story of missing fingers, man-eating tigers, dancehall girls, twins and even a train to the land of the dead. Ren is 11 years old and charged with an impossible task: locate the severed finger of his now-deceased master, Dr. Macfarlane, and reunite it with the doctor's body. He has 49 days to do so, or else his master's soul will wander the earth. Wandering souls are awful enough in their own right, but made all the more dangerous because Dr. Macfarlane may have been a weretiger in his last living days. To further complicate matters, according to tradition, the finger cannot be returned willingly--it must be "taken or stolen." Ren ends up in the employ of William Acton, a British doctor working at the Batu Gajah hospital, while the finger (which should be at the very same hospital) finds its way into the pocket of Ji Lin, a dancehall girl who discovers the unwelcome souvenir from one of her evening customers. So begins the dance that threads through the rest of The Night Tiger. Ji Lin, half "rabidly curious" and half believing it's best to forget about it entirely, tries to return the missing finger to its rightful place, only to find it keeps coming back to her. Meanwhile, Ren tries desperately to locate the finger but is thwarted at every turn. Is it fate? Fortune? Or, as inexplicable deaths start to pile up around town, is it something more sinister? As readers, we can see these missed connections from a bird's-eye-view of sorts; we know where the finger is, and where it should be, and who wants it. And we sense, intuitively, when an attempt to locate it (or return it) will fail. In less capable hands, this could feel gimmicky. But Choo pulls it off brilliantly, never once slipping into territory that feels silly or coincidental. The magic of The Night Tiger, then, is not in where or what or even who. It is in the why of each of these things. Why does Ren stay so committed to his dead master's last wish? Why does Ji Lin rail against her family's expectations? Why do those around Dr. Acton come to inopportune--or too opportune, depending on one's perspective--ends? Choo builds characters that are rich and nuanced, with fully imagined backstories that are revealed slowly as the story builds. Each character has some secret to keep, and holds strongly to his or her beliefs. These secrets are part of each character's individual motivations; combined, they result in a series of dark events that leave everyone--including the reader--wondering what nefarious force might be at play behind the scenes: "A terrible suspicion is growing in him that there's a shadowy power that rearranges events to suit himself.... Like a dark fairy tale, where all your wishes, however evil and stupid, are granted. And perhaps, like fairy tales, there's a price to be paid in blood." While The Night Tiger may not be a fairy tale in the most literal sense of the word, there are enough elements of the supernatural to give the novel the feel of a fable--eerie and a little bit magical. The aforementioned weretiger myth rears up in Dr. Macfarlane's death, and becomes something of a rumor as multiple deaths go unexplained. Ji Lin notes unlucky days (and lucky ones), and she and Ren both travel on a train to the land of the dead and speak with ghosts. Choo pulls these myths and traditions from a variety of sources, all rooted in Malay culture; as such, the supernatural elements of The Night Tiger become as much a part of the worldbuilding as the incredible historical detail packed into Choo's setting. Yangsze Choo is a fourth-generation Malaysian of Chinese descent. Her first novel, The Ghost Bride, was set in colonial Malaya. 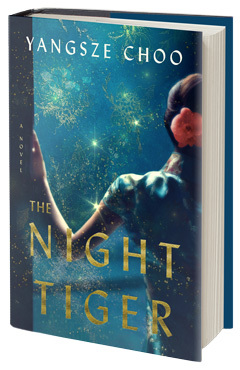 Her second novel, The Night Tiger (Flatiron Books, February 2019), returns to Malaya decades later with the story of a young houseboy, a dance-hall girl and a weretiger. 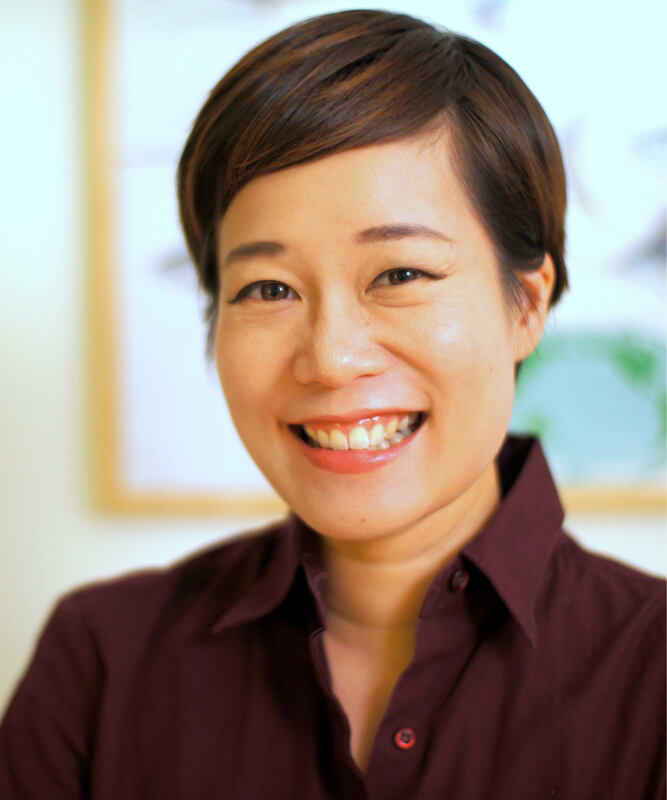 Choo lives in California with her husband and children. You wrote The Night Tiger over the course of four years. What was that process like and how did you stay committed to the story? At different points in time, the novel changed its shape. While working on it, I never quite knew what this book was about. Is it the boy Ren? Is it about Ji Lin, the dance hall girl? When I first started writing, Ji Lin wasn't even in there at all. I'd written a few chapters like that, and my agent asked why there weren't any women in the book. There were a number of ways I got into the story. One of them is my love for old houses. Malaysia has a lot of abandoned colonial houses left by the British, and they speak to a completely different lifestyle. So one way to think about this novel is something like a Downton Abbey of the tropics, in which it's all colonial. The British had these large houses with large local staffs and, because of the language barrier, sometimes the people in the house didn't know what the staff were saying, or what they knew about them. That was always very interesting to me. Did you visit those old houses when researching this book? I tried to visit as many as I could. When you're inside an old house, you realize its character. You think: How many people came down these stairs? Why is the third stair worn away? Did people stop here to listen? Many of the buildings have now fallen into disrepair, and there's something very melancholy about these old houses that are just falling to pieces. Sometimes you can see them by the side of the road, and other times you can ask people permission to visit the house. What other research did you do? There is so much detail about 1930s Malaya in the story. When I was a child, there was nothing to read. So I was forced to read Somerset Maugham. He wrote a ton of stories set in the 1930s in colonial Malaya, all from the point of view of the British. Things of intrigue happen within the "upstairs" society: who gets invited to the party and who doesn't, who's having affairs with local mistresses. Things like that. I've had those stories in the back of my mind for a long time. When I was researching my first novel, The Ghost Bride, I found a book called Malay Magic. It details a lot of charms, and short poetry about magic, and really caught my attention. When I was researching an earlier book about an elephant detective, I kept finding stuff about tigers, and that stayed with me. And when I started this book, I actually spent some time driving around Malaysia. My parents still live there, so we went around to all these towns, many of which I'd been to as a kid. There are any number of superstitions, myths and beliefs represented in the novel. Malaysia is very much a melting pot. There are Malays, a large Chinese presence and also Hindus from Southern India. There were Arab traders, Jewish traders, Portuguese and Dutch settlers. The interesting thing is that everybody has superstitions, and in such a multi-cultural society, everybody adopts everybody else's. For example, when I was growing up, I was told not to hang around banana trees at night because there are female ghosts that come out of them. That's an Indian superstition. And the Malays only plant frangipani in graveyards. But everybody else there, whether Chinese, Indian, whatever, also avoids it outside of graveyards. A lot of the tiger myths are Malay, but they may have some Chinese roots as well, because there are many Chinese stories of weretigers. Can you talk a bit more about the myth of the weretiger? The tiger is the largest land predator in Asia--the Indian subcontinent all the way up to China. It's very revered; in Malaysia, there is a custom of asking a tiger for permission before entering a jungle. The weretiger, too, is revered, in a very different way than the European werewolf is. The European werewolf is seen as a pest--a scourge, a vermin, if you will. It is a man who changes into a wolf when the moon is full and runs into the forest killing livestock and people. The Asian weretiger is almost a direct inversion of that. This is an animal that wears a human skin, and comes out from the jungle to eat you in your house. It's very creepy and somewhat disturbing. But because the tiger is such a venerated creature, the weretiger takes on almost god-like abilities. There's still a fear there, but there's also a great deal of respect. The idea that the weretiger is not really a human at all, but an animal who's walking amongst us was interesting to me because it inverts our idea of what a shape shifter is. And it crosses a lot of those forbidden territories. You're not supposed to go around killing people--that's rather taboo. Would you consider the novel a ghost story? While writing this book, I asked myself, "Is this a ghost story? A murder mystery?" I don't really know. But I've always been interested in what I call mirror worlds--there's a world that is seen, and a world that is not. In the old houses, there's an upstairs and a downstairs. And perhaps in the end, reality is what you end up believing in. Two people can see the same event and will recall it significantly differently.